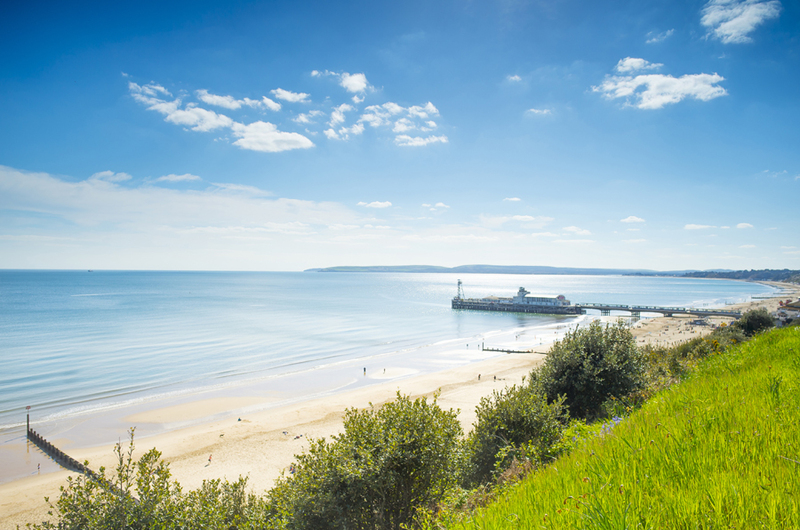 Voted UK’s Best Seaside Town in 2017’s British Travel Awards, Bournemouth is a vibrant, attractive, green town offering plenty for everyone. After my family and I spent a few days in the town recently, it’s easy to understand why around five million visitors are attracted here annually. A simple stroll along the town’s classic 19th century pier is a must for anyone’s itinerary because it offers visitors a taste of what true British seaside towns are all about. 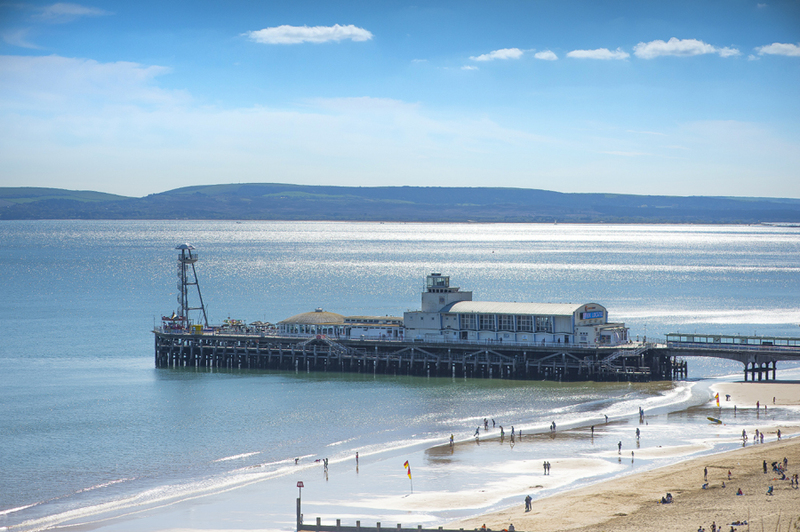 However, Bournemouth Pier offers much more than just a walk along its 1,000-foot length while admiring the beautiful coastal views. Inside what used to be a theatre until 2014, you’ll find two fab attractions kids and adventurous adults will love. After a safety chat, we were let loose on the 28 climbing walls, with adults encouraged to be “clippers” who attach their children to the safety ropes before attempting a climb. Paula was assigned this task and did, initially, feel rather daunted by the responsibility but soon got the hang of it. 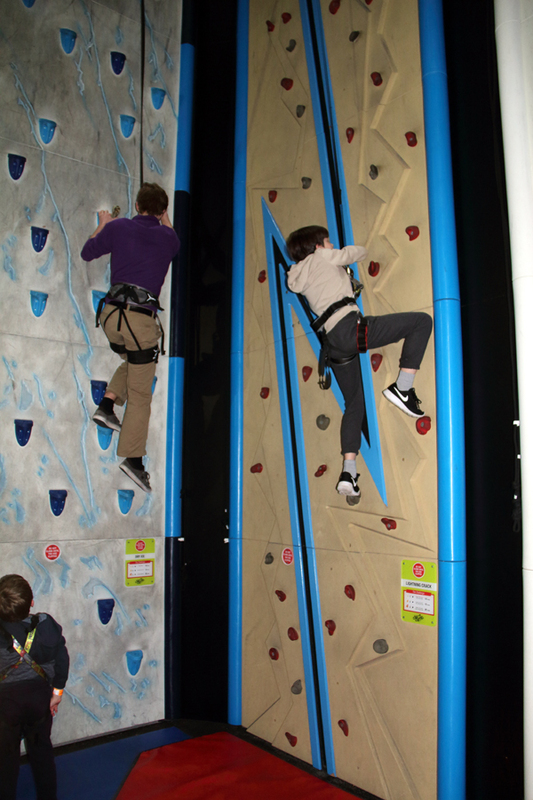 Peter and Hollie particularly enjoyed the High Line obstacle course which took them high above the climbing walls. Meanwhile, Peter, being the smallest, was very adept at the Pier Cave but for us adults, it was a case of wondering if we’d be able to squeeze through the various tubes! Another activity inside this fun attraction is a vertical slide where you’re hauled up as high as your nerves will allow before you decide to let go and slide down. 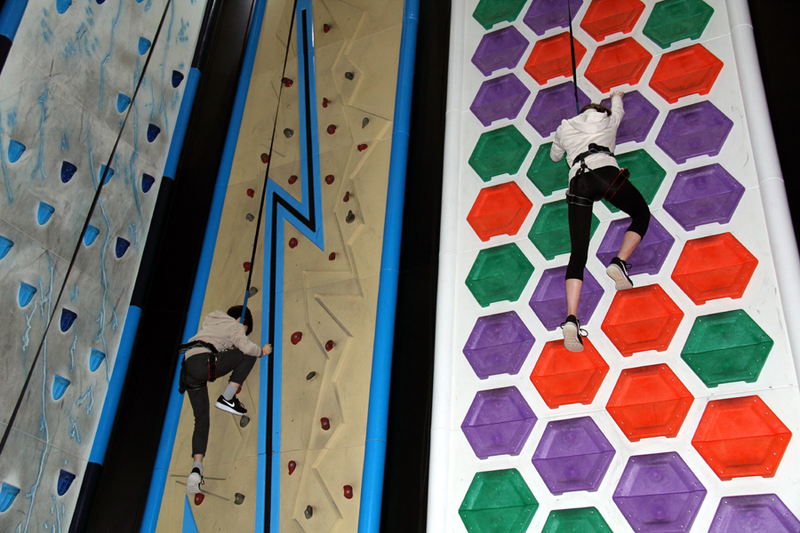 The final challenge saw only Hollie brave enough to attempt it: the Leap of Faith. After climbing 20 feet and walking to the end of a plank, she leapt to catch a bag mid-air before dropping to the floor. That one is definitely not for the faint hearted! Overall, an enjoyable hour and an half. 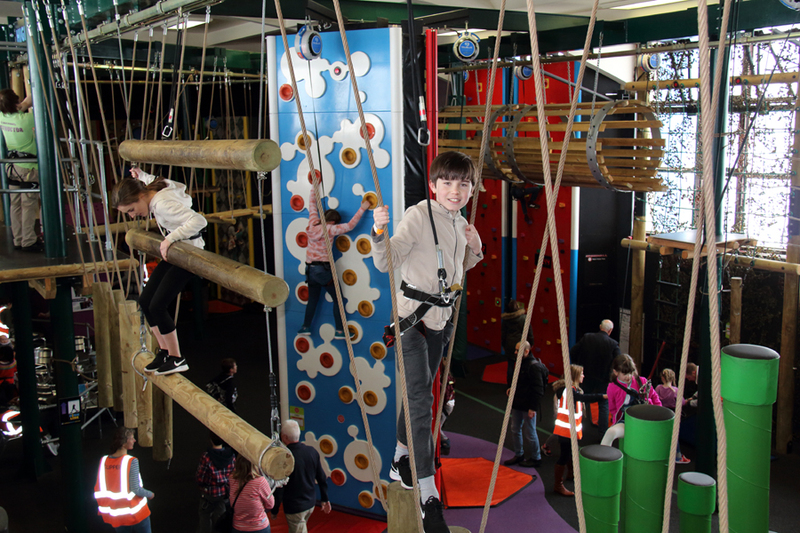 Note: minimum age is four and one adult is required to accompany up to a maximum of three children under 16, although the non-climbing adult is free. If Rock Reef isn’t enough of a thrill you could try the world’s first pier-to-shore zip wire. At Pier Zip, you climb a 60-foot tower on the end of the pier and zip down to the landing station on the beach, 250 metres away. Unfortunately, with gale force winds and torrential rain during our visit, the zip understandably wasn’t running but it’s certainly something we must try on another occasion. 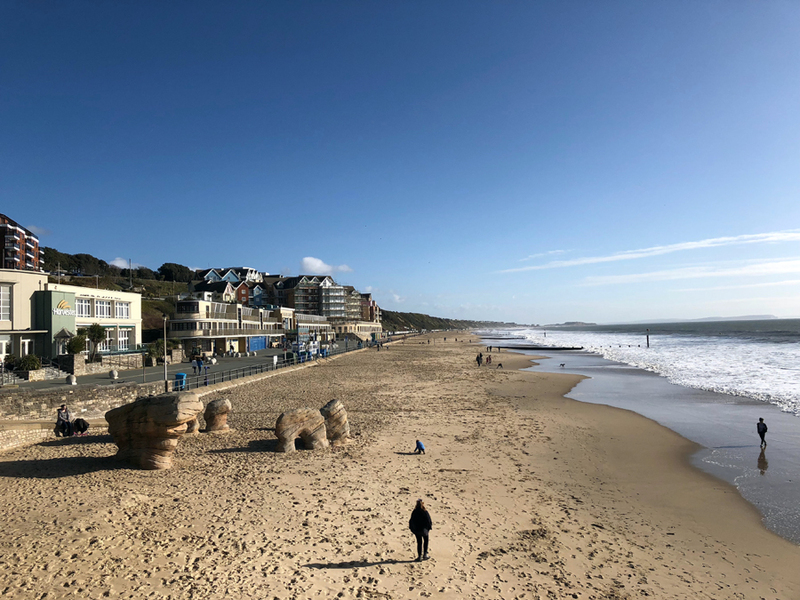 Although there is much more to Bournemouth than golden sand and a sunny sea front (well, most of the time), the seven miles of promenade do take some beating. And there’s no better way to enjoy this part of the town than by renting a beach hut for the day and simply relaxing while watching the world go by. There are around 250 huts which can be hired for a day, week or longer periods. 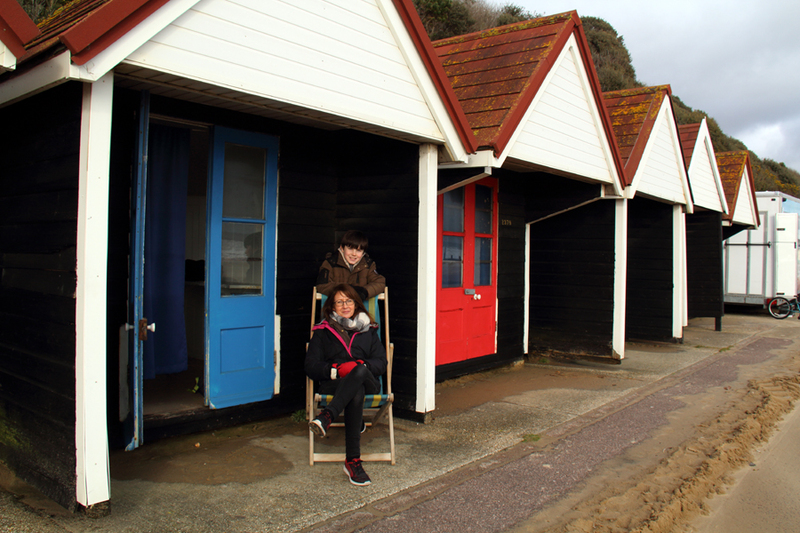 Each hut is equipped with four deckchairs and a gas ring: you have to come prepared if you want to use the ring, of course, or else bring a flask of coffee or buy something in the numerous cafés dotted along the seafront. Having a hut for a day is fun and means the kids will love being just a step away from the sandy beach. Russell-Cotes Art Gallery and Museum, promoted as “one of the most fascinating historic houses in England”, is a fine house, gallery, museum and garden. Overlooking the sea and just metres from the pier entrance, the property is a genuine treasure trove, boasting over 1,000 objects and artworks on display. Sir Merton Russell-Cotes, Mayor of Bournemouth between 1894-95, gave the house to his wife as a gift. Inside today, visitors can admire the myriad items which exemplify their love of art and travel. The walls of the impressive main hall, for example, are adorned with Victorian and Pre-Raphaelite artwork. Each room is packed with an array of fascinating exhibits. Throughout the year, there are many exhibitions, talks and events taking place. But whether you’re visiting for an event or just to admire the gallery and museum, find time to visit the on-site Urban Renaissance Café. It’s a comfy, white-walled dining area with large windows allowing light to flood in. The quality of food is high and the cakes particularly scrummy! 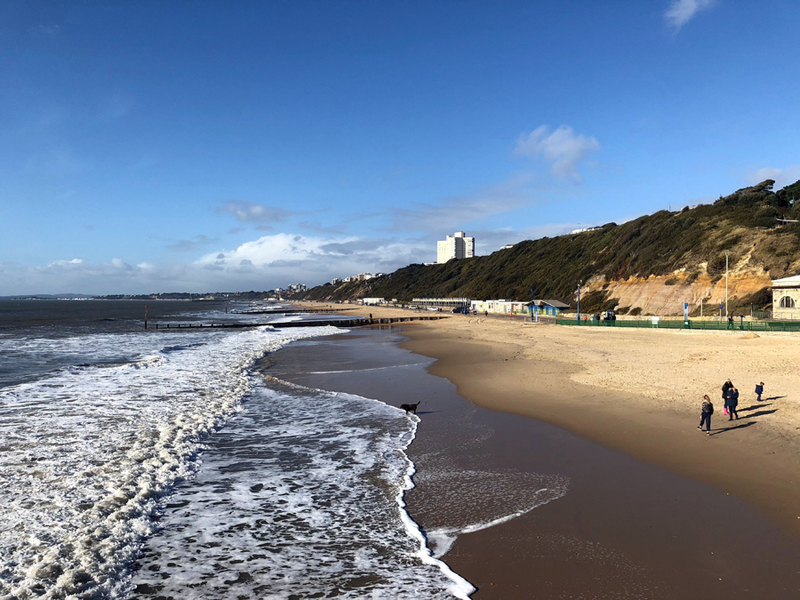 If you’re a family who like walking while visiting towns, Bournemouth is definitely the place for you. With a promenade that seems to go on forever and a cliff-top path with views to die for, you’re spoilt for choice. We enjoyed a pleasant stroll to Boscombe, with its bustling shopping centre and pier. 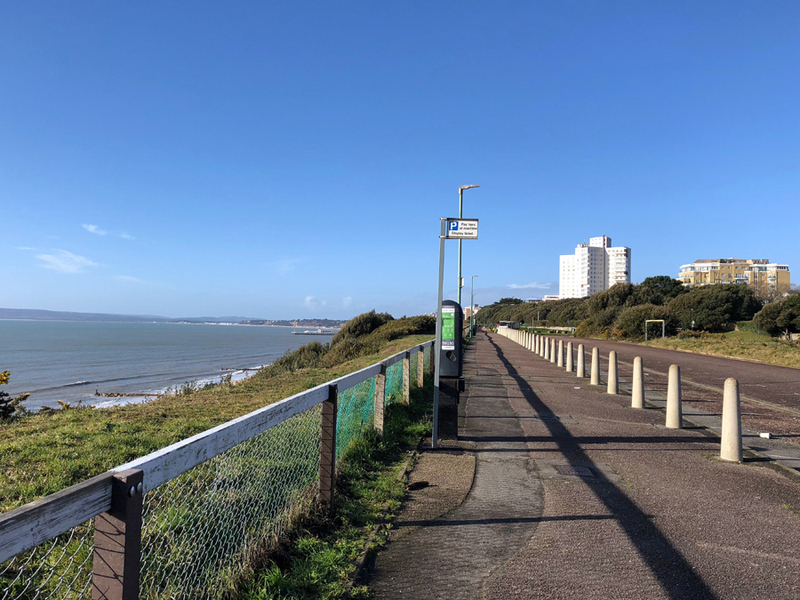 Starting at Bournemouth Pier, the 1.5-mile walk to neighbouring Boscombe took about 30 minutes, and can be turned into a pleasant circuit by taking in the views from the cliff-top path one way and returning via the promenade. When you reach Boscombe’s Victorian pier, which underwent a £2.4m restoration recently, try out the 18-hole eco-friendly mini-golf that runs along its length and feed the fish with your edible golf ball at the 18th hole! 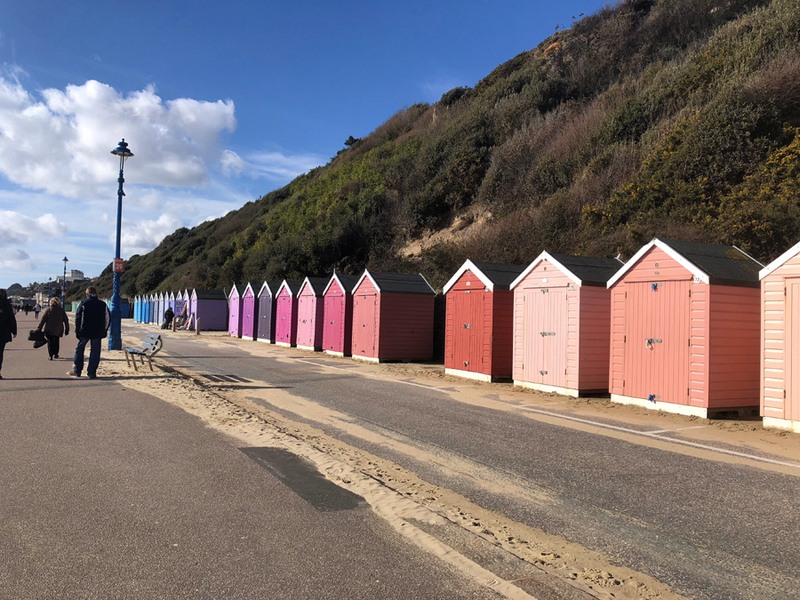 If you fancy extending the walk, head into Boscombe town where you’ll find a plethora of shops, including several well-known high street stores and plenty of independent businesses. One of our first ports of call was Oceanarium, situated right on the seafront, next to the pier entrance. Their visitor leaflet states: “From stunning sharks, huge green sea turtles and colourful clownfish to menacing piranhas and venomous lionfish, discover a whole world of oceans under one roof!” And you do. It’s such an exciting and fascinating place to visit, for adults and children alike; I learnt just as much as the kids, thanks partly to the interesting facts scattered around the place. Did you know that sharks get through thousands of teeth in their lifetime: when one is lost, another replaces it? Or that the tongue of a blue whale is the size of an elephant? Among our favourite features was the Great Barrier Reef, a tunnel taking you underwater while swimming gracefully above your head are the incredible creatures one finds in the reef itself. We also enjoyed the virtual Interactive Dive Cage (the world’s first, according to Oceanarium) affording us the chance to experience the great white shark, manta ray, dolphin and blue whale up close without getting wet! What is useful is that your tickets are valid all day, so you can have a look around and return later, if you wish. 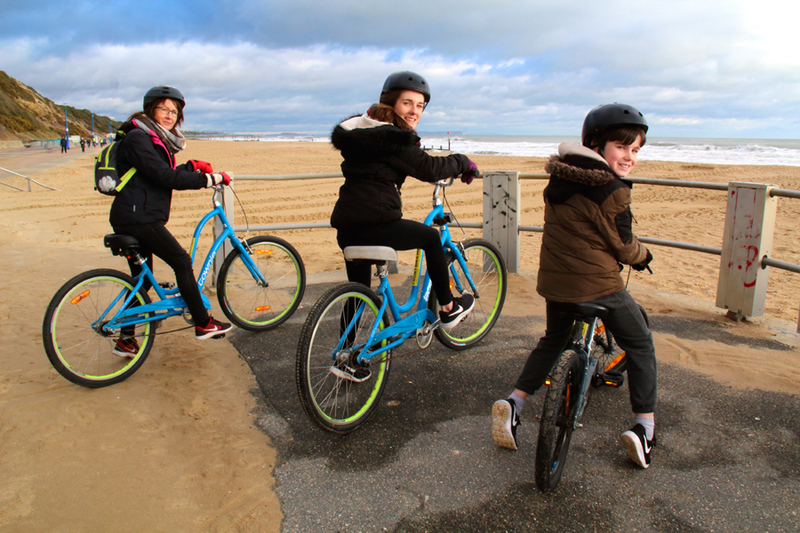 We’d recommend hiring a bike from Front Bike Hire, situated near the pier, and see where pedal power takes you. We did and had a great time. Bikes are available for all ages which means everyone gets the chance to cycle along the long, sweeping promenade. Even for novice cyclists it’s surprising how far you can get when there are no hills to worry about. And if the going does get a bit tough, there are plenty of beachside cafés to visit en route where you can recharge your batteries while enjoying refreshments. This formidable landmark on the town’s skyline is unmistakable and offers plenty for families under one roof. 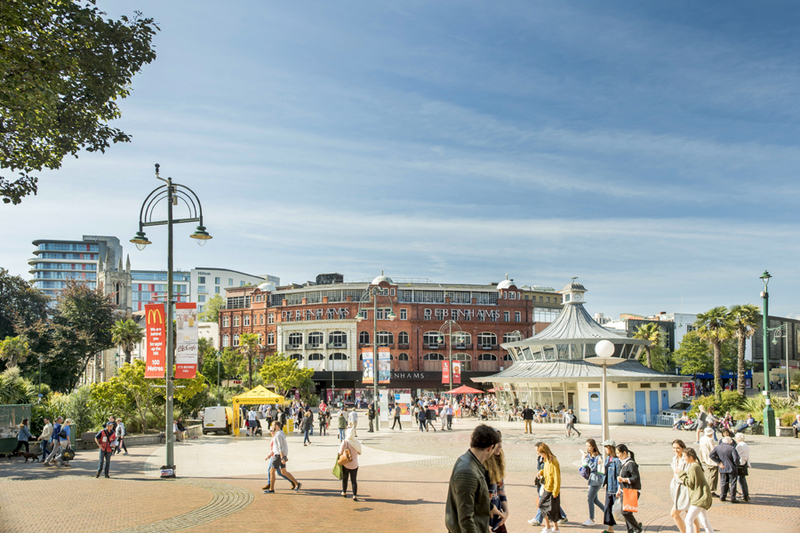 The BH2 leisure complex is home to not only the ten screen multiplex Odeon cinema showing all the latest blockbusters, but plenty of eateries, too. So, after watching a movie together, you can round off your visit with a meal at one of many restaurants offering everything from pizzas to burgers. We’d definitely recommend Ask Italian, which dished up delicious veggie and vegan fayre for us. This ancient headland jutting out into the English Channel between Bournemouth and Mudeford not only supports a wide variety of wildlife and rare plants but is a notable archaeological site. Only 20 minutes’ drive from Bournemouth, the road hugs the coast most of the way, making it an enjoyable journey to the headland. As well as a large car park, you’ll find a visitor centre affording you the chance to learn about the area’s history as well as its wildlife and the various walks and cycle routes on offer. If you don’t fancy walking, a land train transports passengers down to Mudeford Spit, where you can visit the Beach Café. Unfortunately, we were on a tight schedule so completed a simple circuit over the top of the headland during which we were treated to panoramic views along the coast. 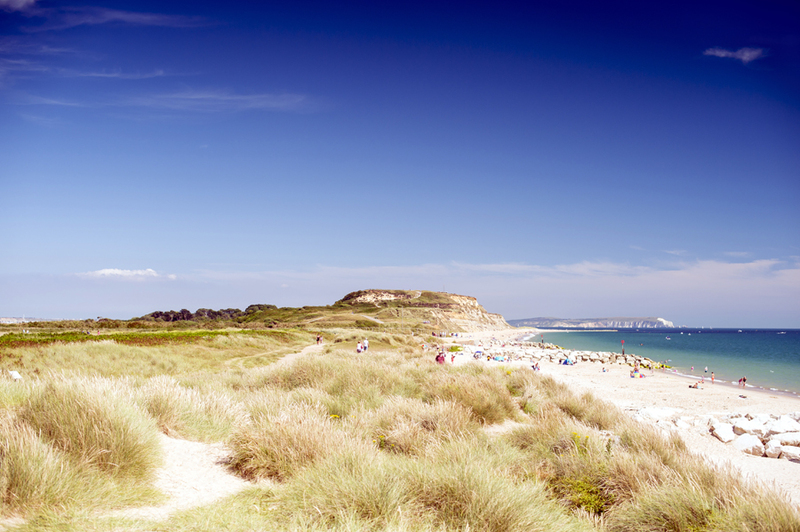 Hengistbury is certainly a beautiful spot offering families many opportunities to explore the surrounding countryside. This course takes crazy golf to a new level. Wheelchair and pushchair-friendly, it’s situated at Playgolf, just 10 minutes by car from the town centre, and is certainly worth a visit. 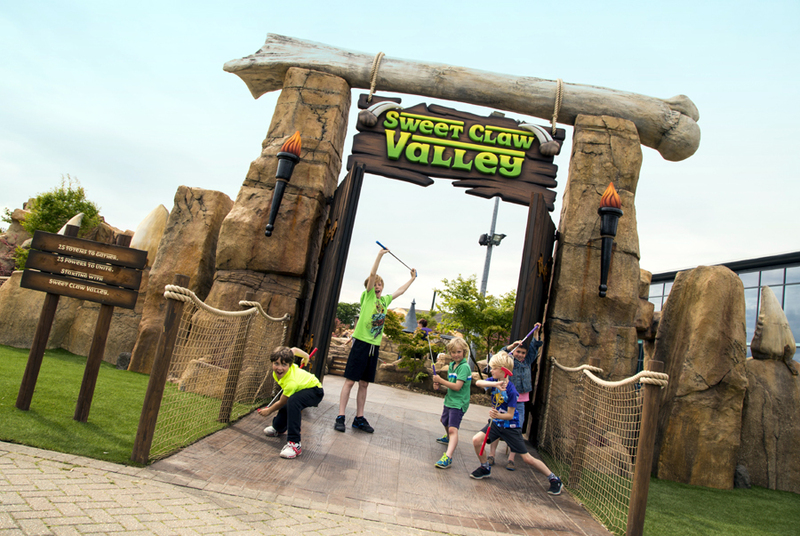 As the company’s promotional material states: “Swing, cut and slice your club through 18 holes of prehistoric thrills and near-life size dinosaurs”. We’ve tested our putting skills at other dinosaur-themed courses but this really is well-designed – there are even conveniently placed fishing nets around the course to help you retrieve rogue balls from the various stretches of water! With huge dinosaur structures and 18 interesting and challenging holes to negotiate, we were sad when it ended, despite the unkind weather we endured during our visit. When you’ve completed your round, head for the on-site Kitchen Club café for a warm up and tasty meal. One of Bournemouth’s attractions is the sheer scale of greenery. There are more than 2,000 acres of award-winning gardens throughout the town. The “Gardens by the Sea”, which we enjoyed exploring, start at Pier Approach and weave their way for two miles. Like the other gardens in the town, these must be among the best kept in the country. 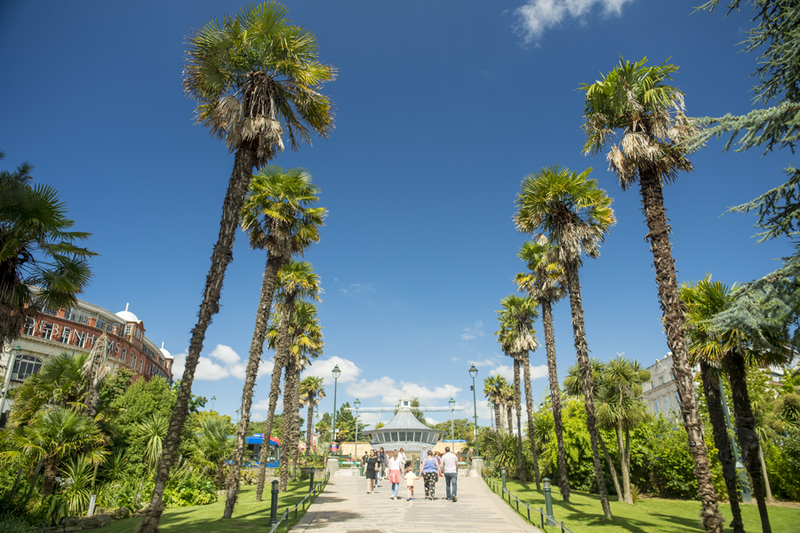 Beginning as soon as you step away from the seafront, they provide a beautiful route to the town itself. One of the first attractions is the huge rock garden dating back to the 1930s, after which you can follow a stream snaking its way towards the town. Look out for squirrels and visit the many aviaries tucked away in Pine Walk, a section of the park on the right-hand side, as you head up Lower Gardens. There are myriad places to sit and admire the view while various cafés dotted about are ideal if you want to grab a snack. A great family-friendly activity is the mini-golf, although it can get busy in the summer. On reaching the top of Lower Gardens, you’ll arrive at the town centre and the new BH2 leisure centre. If you want to walk further, pick up the gardens across the road and continue on to the Central and Upper Gardens.